How does a luxury ski-in, ski-out hotel in the French Alps, located on the site of a former Olympic ski jump, sound? Or how about a helipad on the roof? Terrible, we know. By Alex Schechter for Architectural Digest. This luxury ski-in, ski-out hotel in the French Alps is located on the site of a former Olympic ski jump--and VIP guests get a true sense of the property's elevation when they book the luxe penthouse. 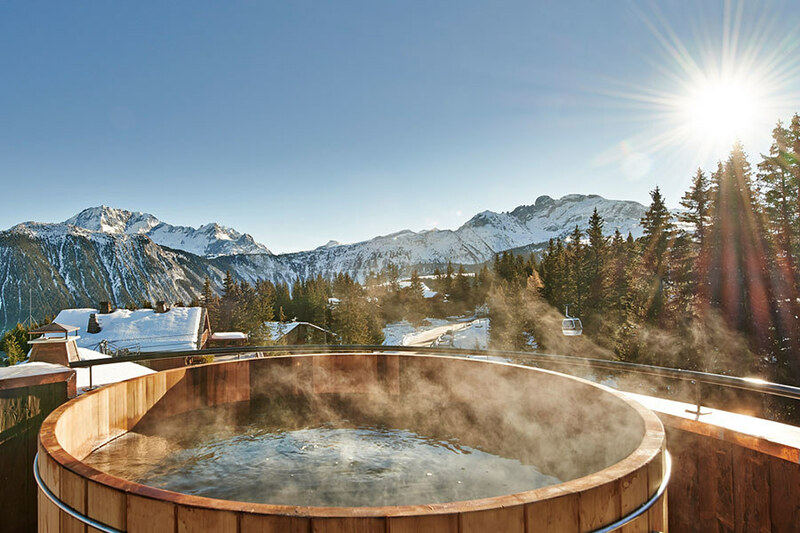 Spanning the entire top floor, the four-bedroom sanctuary overlooks the Courchevel valley and features a private sauna, steam room, and terrace with a hot tub. From $1,077/night; lapogeecourchevel.com. Love Argentinian Malbec? Inside this 1912 French Classical landmark (formerly an embassy), the centerpiece of the Royale Suites is a temperature-controlled, floor-to-ceiling wine cabinet. The towering glass case contains only bottles produced at the property owners' Mendoza wine estate; when you're winding down from a day of sightseeing, simply reach in and help yourself (the charge gets added to your room at checkout). From $980/night; algodonmansion.com. In 2012, Indian couture designer Sabyasachi Mukherjee remodeled one room in the hotel as a shrine to 1940s and '50s Hollywood glamour and Indian cinema. 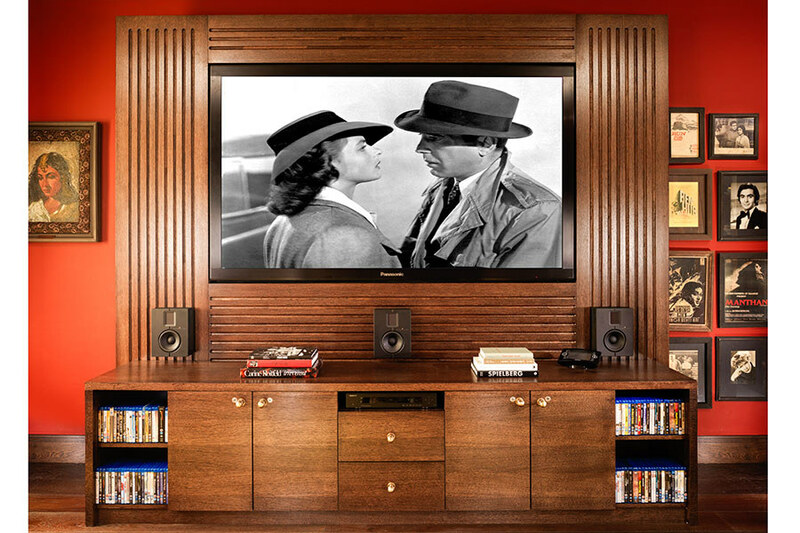 Lined with portraits from movie stars across the globe, the butler-serviced Cinema Suite contains an 85-inch plasma screen (the largest of any London hotel) with an immersive home theater system by Steinway Lyngdorf. Cinema Suite from $7,878/night; taj51buckinghamgate.co.uk. Plenty of hotels provide vintage house cars these days, but how many can claim a helipad on the roof? 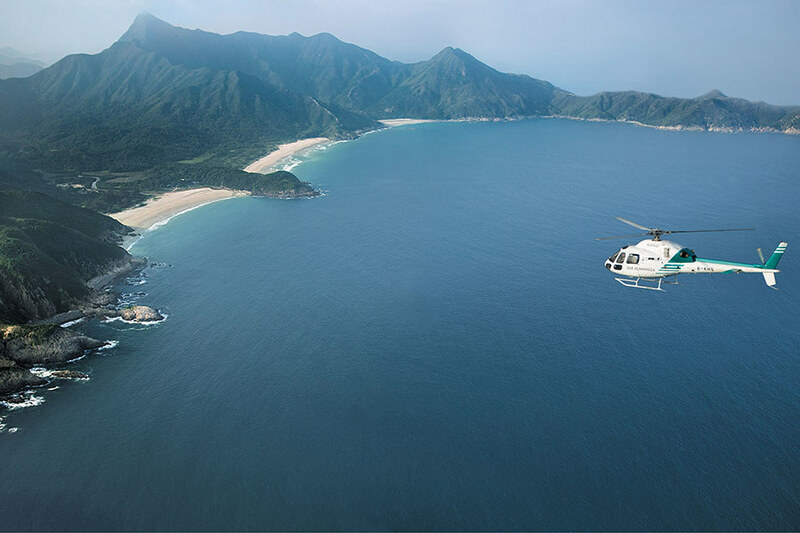 Cue the Peninsula Hong Kong, which has its own branded chopper along with the city's only hotel helipad. Acclimate yourself in the plush 30th-floor China Clipper lounge before embarking on a 15-minute private aerial tour ($1,300). Airport transfers ($2,900) are also available. From $760/night; hongkong.peninsula.com. Diamonds are a guest's best friend at Manhattan's Lotte New York Palace. 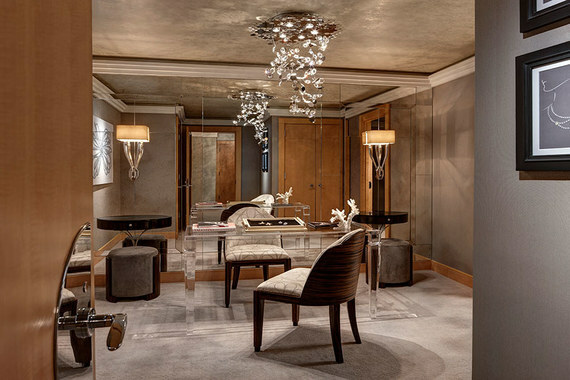 Anyone who stays in the spectacular triplex Jewel Suite, which features 15-foot-tall windows and floating jewelry display cases, receives a diamond microband ring custom designed by Martin Katz. Jewel Suite from $25,000/night; lottenypalace.com. 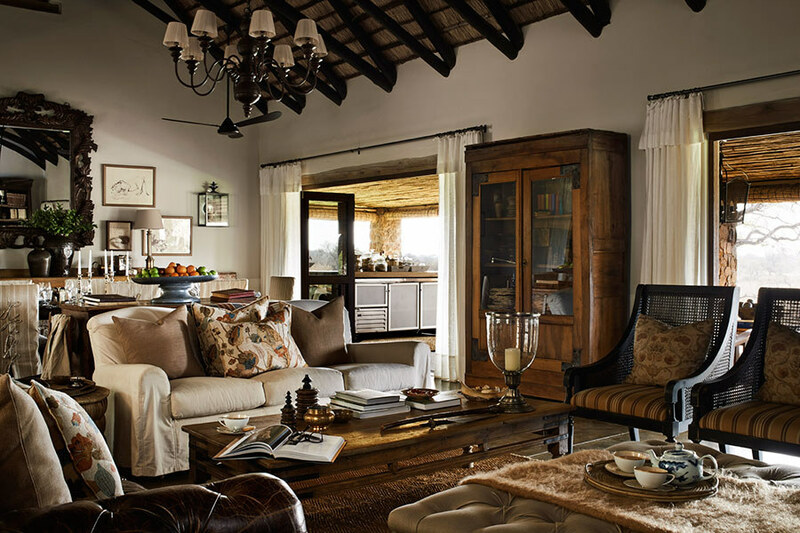 Imagine having your own private safari lodge in the middle of a 45,000-acre game reserve. That's exactly what you'll get at this six-cottage compound, which can be booked only on an exclusive-use basis. Perks include a wine cellar, tennis court, spa, and dedicated safari guide. From $6,259/night; singita.com. If Aladdin's genie were to conjure the perfect hotel experience, it might resemble Beit Musandam, a specialty four-bedroom villa nested inside Oman Six Senses Zighy Bay. Dubbed the largest of its kind in the Middle East, the villa faces a private beach and is equipped with a spa, gym, yoga studio, wine cellar, 17-meter pool, and live-in butler. From $15,000/night; sixsenses.com. Guests of this London mainstay have the chance to enjoy a shoe fitting by none other than Crockett & Jones (the official cordwainer for James Bond). After the consultation with store manager Michael Quinn, an Aston Martin (what else?) will shuttle you back, where a martini awaits you in the hotel bar. 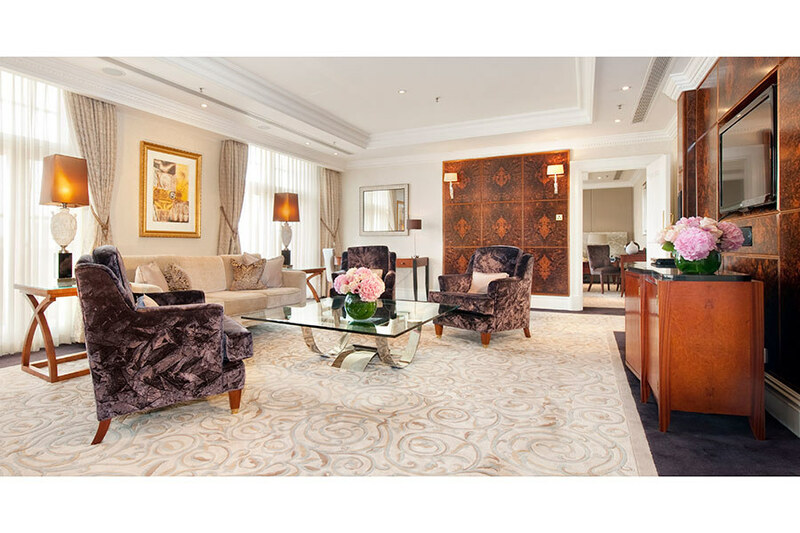 Package from $2,950/night; landmarklondon.co.uk. In Verona, the northern Italian romance capital (Romeo & Juliet was set here), guests can be treated to a private in-room concert by a local operatic tenor. 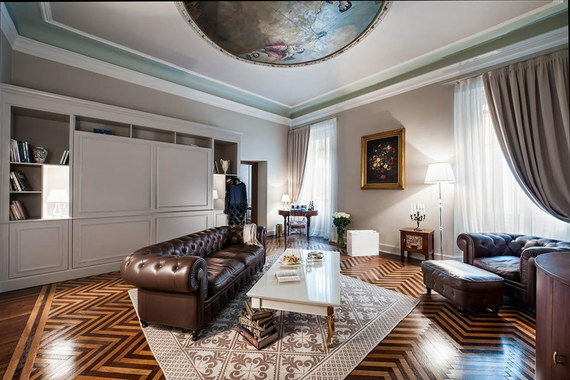 When booking your stay at the Palazzo Victoria, simply specify the "Victoria's Serenade" amenity ($1,100), and be sure to note any favorite arias--the singer occasionally takes requests. From $288/night; palazzovictoria.com. Nothing says unwind like being handed the keys to one of the country's top-rated hotel spas. The Ultimate Mayflower Spa Experience ($2,995 for two guests) grants private after-hours use of the entire spa house--during which time you'll receive a duet hammam treatment, enjoy a candlelit dinner in the Garden Room, and, of course, wander free through the facility. Afterward, a bottle of Champagne welcomes you back to your suite, encouraging you to unwind after all that unwinding. From $610/night; gracehotels.com.